Located in the Riverside Cemetery, Wichita Falls, Texas. From the entrance of the cemetery, go straight, then turn left at the third lane. 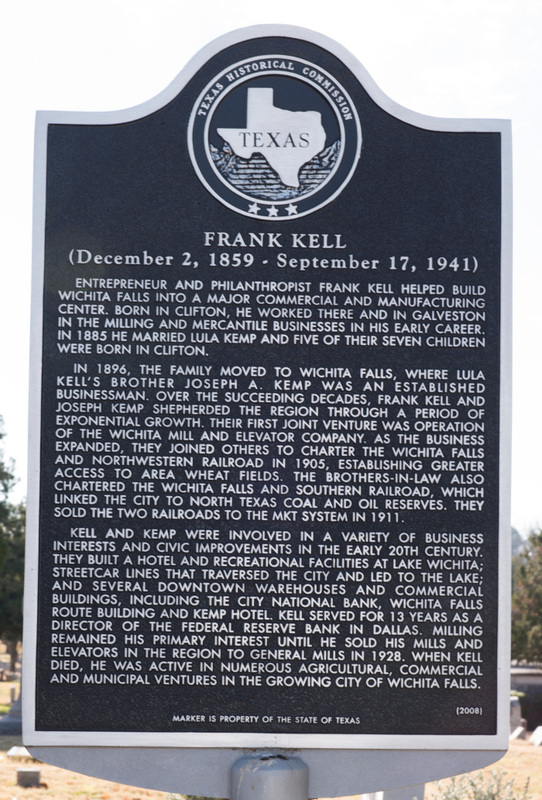 GPS 33-degrees 54' 43.6" N 98-degrees 30' 25.6" W.
For information about Frank Kell at the Handbook of Texas Online, click the button below.